3.9 out of 5 based on 26 bloggers and 4 commenters. 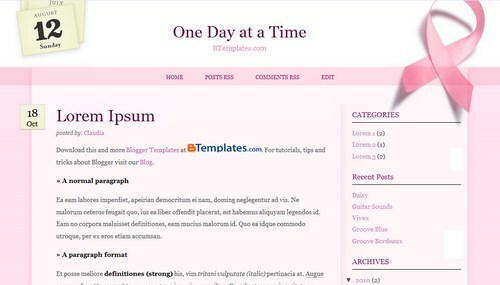 One Day at a Time is a free blogger template adapted from WordPress with 2 columns, right sidebar and girly looking. Excellent template for blogs about love. @illyz: You can solve it easily. Just go to Settings/Formatting and change the timestamp format (the hour) to “Sunday, March 13, 2011”.